From http://www.kentonline.co.uk 26 November 2013, by Hayley Robinson. Swale council scheme aims to protect future of Kemsley Arms, Ridham Avenue, Kemsley, Sittingbourne. A derelict pub has become the first building in Swale to be listed as an “asset of community value” under new legislation. 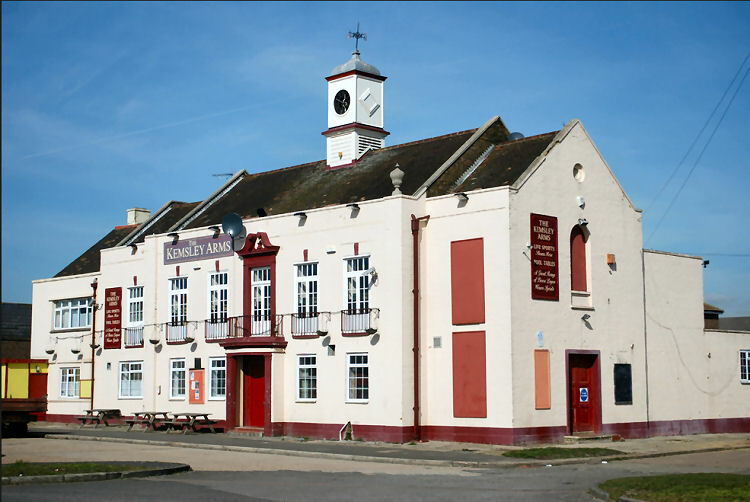 Kemsley Community Centre Trust's application for the "Kemsley Arms" was approved by Swale council last week under The Community Right to Bid scheme. It means the Ridham Avenue property will be added to a list kept by the local authority – and should the owner decide to sell it, they must inform Swale of their intentions. This information will then be passed onto the trust so they can decide if they want to be considered as a potential buyer. While it does not give it the right of first refusal to buy, it does give members six months to develop a proposal and raise the necessary funding to submit a bid. The move was prompted after the pub closed in May and rumours started circulating that it could be turned into flats. Cabinet member for localism, Cllr Mike Whiting, said: “Residents have been shocked at the sight of the pub boarded up and going to rack and ruin, and wanted something done. “I raised the legislation, which forms part of the Localism Act, with the trust who run the hall in conjunction with Swale council next to the pub, and suggested they might like to apply to get it listed. Trust secretary Mike Dendor said: “We're extremely pleased the community will now have an opportunity to find out what happens to it in advance of it being sold. “It's a landmark. It's the first thing you see as you come up Grovehurst Avenue and has been the centre of the village since it was built in the 1920s. A building or land can be considered an asset of value if it's considered of great social use to the community. Those exempt include homes, hotels, assets being transferred between businesses and Church of England land holdings. The "Chequers" pub in Doddington is also set to be listed following a campaign by villagers. I have just learnt that subsequently after closing in 2013 the Swale Borough Council's planning committee have given permission for the building to be turned into flats with shops below.